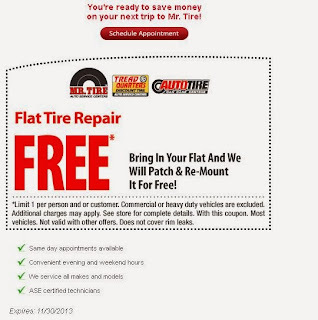 Freedom Rockz: Hey Free Flat Tire Repair! Awesome! Hey Free Flat Tire Repair! Awesome! This is a great offer. Just click the link below to go to their website to print the coupon. Keep this coupon in your vehicle in case you need it. This offer expires 11/3013.